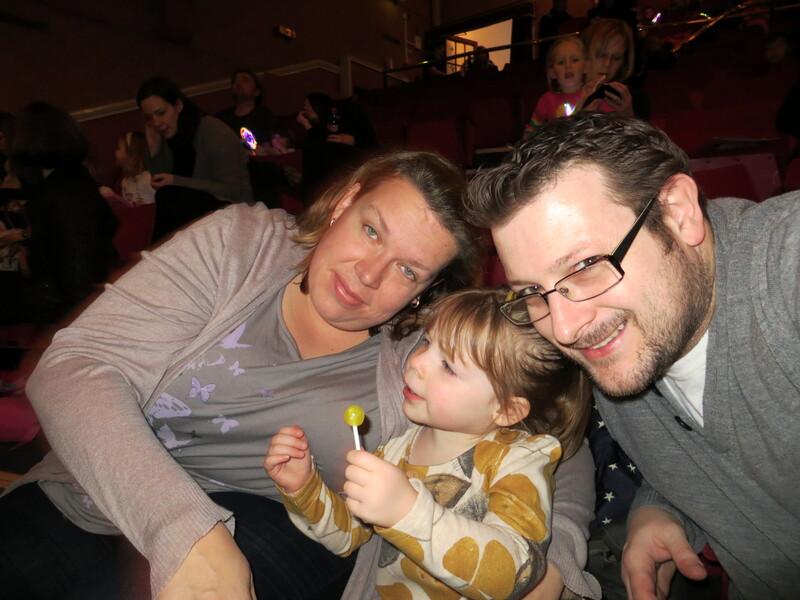 It might not have been the West End or Broadway but Isabelle’s first visit to the theatre was still a memorable one. 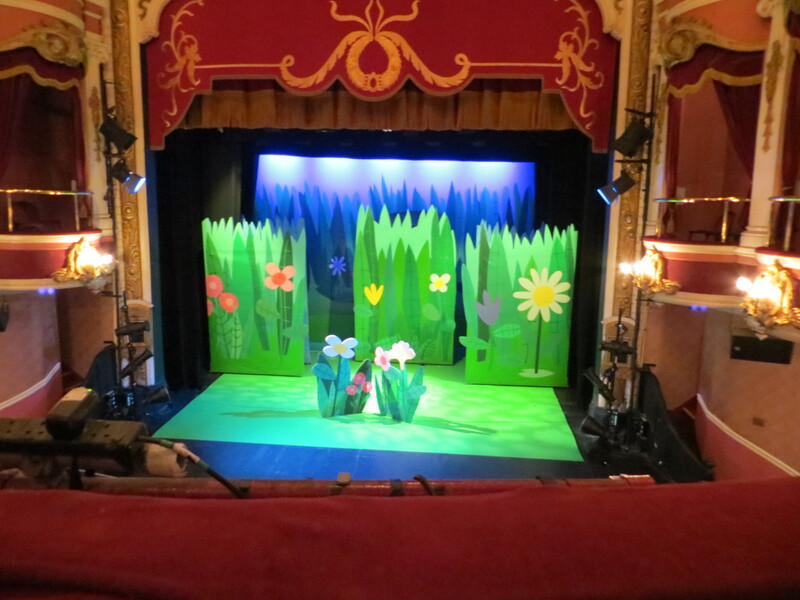 We all ventured to the Palace Theatre to see Ben and Holly’s Little Kingdom live, it being on stage for the first time ever. Iz loved her vantage point which was pretty much the perfect spot (clever mummy) as she sat with her hand on her face, a fave pose of late, munching through some sweets. She looks so grown up these days. For those who don’t know, Ben and Holly are an elf and fairy and are best friends. They live in the Little Kingdom and Holly has a pet ladybird called Gaston. My personal favourites are Nanny Plum and The Wise Old Elf. It’s from the same creators as Peppa Pig and for me far more sophisticated, parents will enjoy the banter and downright sarcastic tones of Nanny Plum. If Peppa is Buffy then this is Angel, cooler and funkier. Back to the stage version, the characters and their voice are all pretty much spot on and the stage show itself is based on several of the TV episodes brought together. Naturally, there are limits as to what can be done on stage but we still managed Gaston, magic spells aplenty (although elves don’t do magic) and no Ben and Holly experience would be complete without a Jerry Fudd, I mean a Jelly Flood. 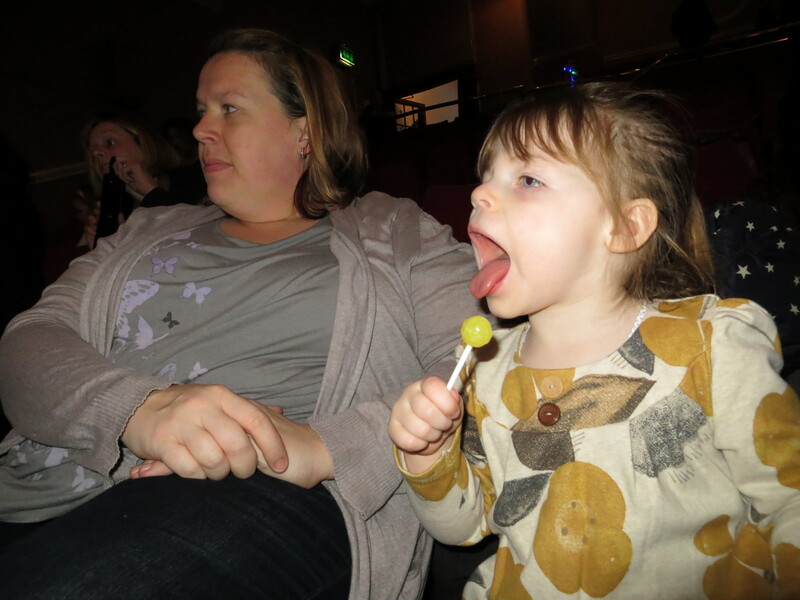 Iz clapped, pointed and shouted at all the right times and was enthralled by the whole experience, especially seeing the characters come to life. She even got to take home her very own cuddly Gaston. Previous PostStars in Their Iz: Jamie Oliver – The Naked ChefNext PostHey you guys!